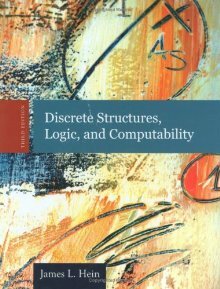 Thoroughly updated, the new Third Edition of Discrete Structures, Logic, and Computability introduces beginning computer science and computer engineering students to the fundamental techniques and ideas used by computer scientists today, focusing on topics from the fields of mathematics, logic, and computer science itself. Dr. Hein provides elementary introductions to those ideas and techniques that are necessary to understand and practice the art and science of computing. The text contains all the topics for discrete structures in the reports of the IEEE/ACM Joint Task Force on Computing Curricula for computer science programs and for computer engineering programs.